Question: How do you spend your time each day? 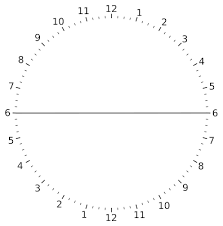 Today I did a really simple exercise to track my daily routine using the 24 hours clock (like the one below or you can simply draw a circle and make your own). Then I realized that almost 40-50% of my day is spend on getting ready to work, work, and getting home from work. About 33% of my day is spend on sleep (I need 7-8 hours of sleep each day to recharge the body). This year, I’ve dedicated a portion of my day to pursue my dream and to work on my personal projects daily. How about you? Do you know how your time is being spend? Are you putting aside your most precious resource (your time) in pursue your dream? Remember, your time is a limited resource. So make sure to get the most out of it! leave a comment below and let us know if you have any time management tips to share.